How Did Valentine’s Day Get So Chocolatey? Chocolate love at Toni Patisserie, Chicago. Valentine’s Day is the holiday of love, whether romantic, platonic, or spiritual. But where did it come from, and how did chocolate (thankfully!) become associated with it? The holiday began as an ancient Roman fertility festival, was Christianized with St. Valentine who according to legend married star-crossed lovers in secret against the wishes of Roman emperor Claudius II, became a day to celebrate romance during the rise of courtly love during the 14th century, and has since spread throughout the world, in various permutations. On Valentine’s Day in Japan for example, women give chocolate to men! Chocolate has long been associated with love, from Mayan times onward, because of its mood elevating properties. Is chocolate an aphrodisiac? Scientists disagree, but throughout history people have embraced this idea. For instance, Aztec emperor Montezuma drank golden goblets of chocolate before visiting his harem. Famed ladies’ man Casanova wrote that chocolate was more effective in the seductive arts than Champagne. Note though that these two historical chocolate lovers enjoyed their chocolate themselves, and didn’t share it with the women in their lives! This may have been a mistake, because today researchers have found that chocolate affects men and women differently, due to different brain chemistry, which may explain why women report craving chocolate more than men do. On that note, a recent poll showed that 50% of women surveyed said that they prefer chocolate to, ahem, something else. 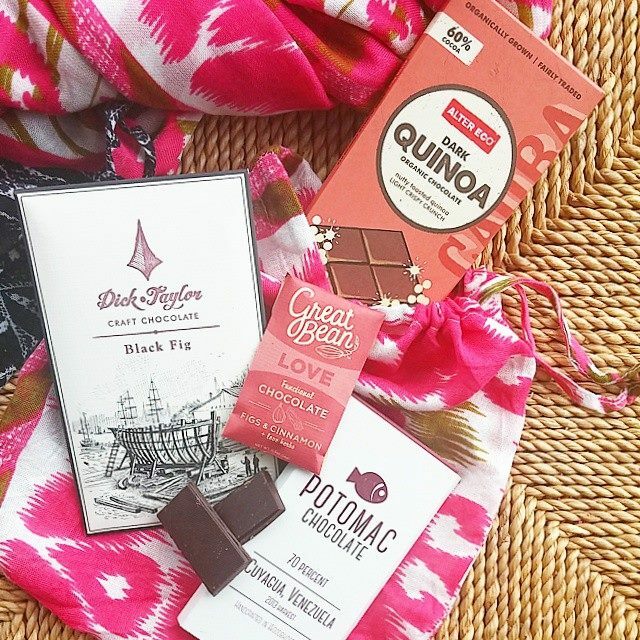 One of my new Chocolate Uplift Sweet & Chic gift sets, the “think pink,” with bean-to-bar chocolate, and an ikat scarf and pouch. Contact me to order: chocolateuplift@gmail.com. In contemporary times, the week of Valentine’s Day is a big season for chocolate purchases. 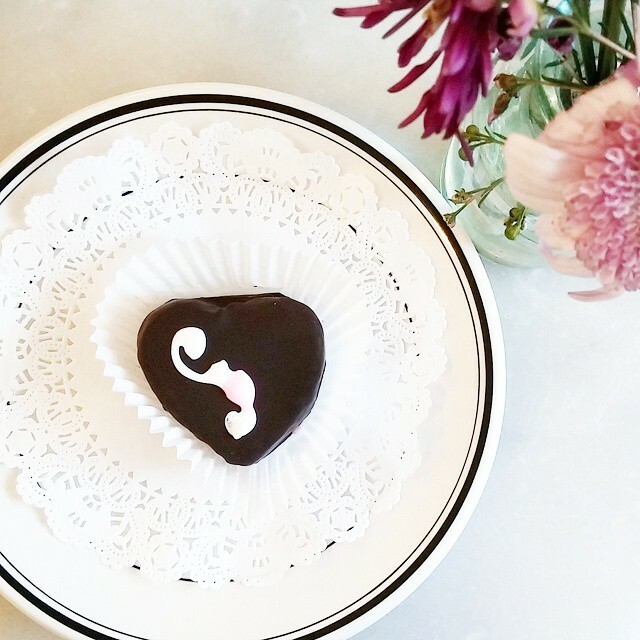 Let’s face it: chocolate is love! Want more chocolate insights, plus a chocolate tasting? Book me as your group’s “sweet speaker!” Click here for speaking engagement topics, fees, testimonials, and videos, or contact me at chocolateuplift@gmail.com.